Nestled along the Blue Ridge Parkway, Asheville, North Carolina is the perfect destination for those who are looking for a getaway weekend. Known across the Southeast as a top tourist destination, there is plenty to keep you busy. An Asheville weekend getaway will give you the opportunity to commune with nature, shop the eclectic stores, and tour America’s largest castle! When you arrive on Friday, you should head downtown where you can peruse the unique gift shops. Downtown Asheville is an art district, so you will find a little bit of everything. There are trendy boutiques, new age shops and stores catering to spending time in the outdoors. Also within walking distance are many different bistros, restaurants and bars. There is plenty to keep you busy in the evening from a scavenger hunt to ghost walking tour. First thing to do when you get moving Saturday morning is to go for a drive on the Blue Ridge Parkway. 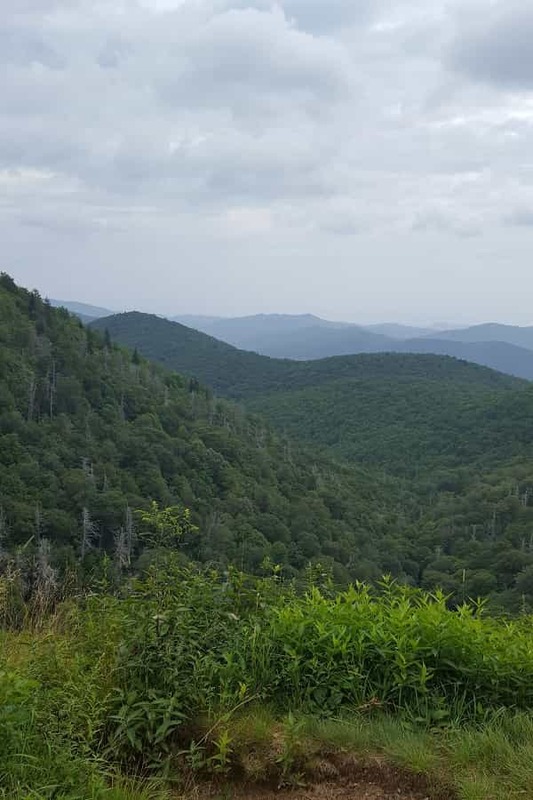 The parkway is one of the most scenic drives you can experience on the east coast. 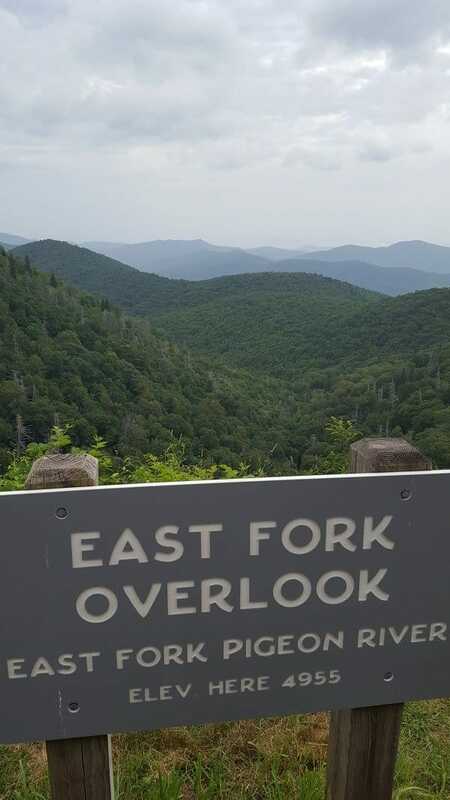 Take your time to stop at the lookout points along the way to see the different views of the mountains or explore some of the many nature trails. 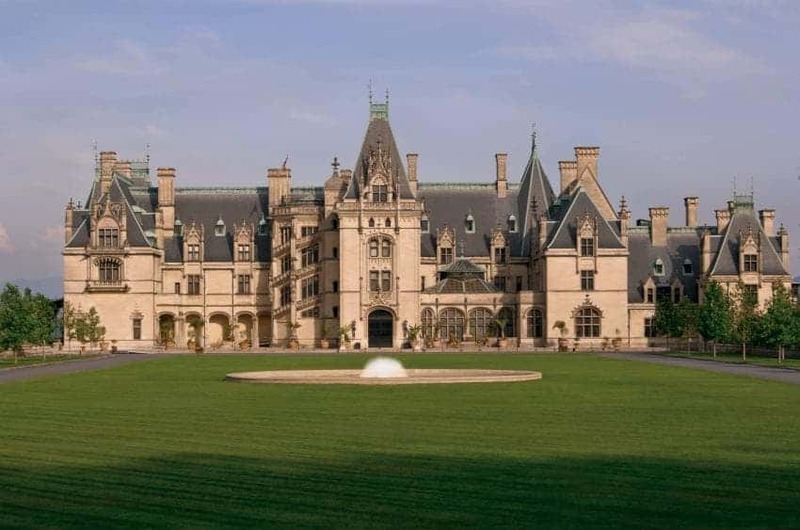 You can’t have an Asheville weekend getaway and not go to the Biltmore Estate. The Biltmore Estate is America’s largest “castle”. It was built by George Vanderbilt in 1895 and it’s design was inspired by chateaus he saw while in Loire Valley, France. The entire estate is breathtakingly beautiful. Be sure to book your tour time for the afternoon so that you can do the tour and then go straight to dinner nearby at the Omni Grove Park Inn restuarant. There is an audio guide that I would recommend you get so you know what you are looking at in each space. Also, take time to explore the beautiful, manicured gardens. In summer, they are full of colorful flowers. 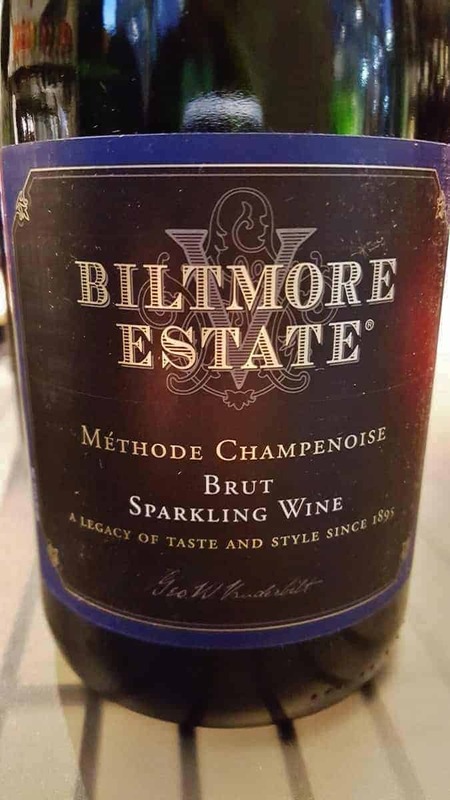 Biltmore is also known for its winery. Do the tour of the winery and you will get a free wine tasting! You can also purchase wine while there. 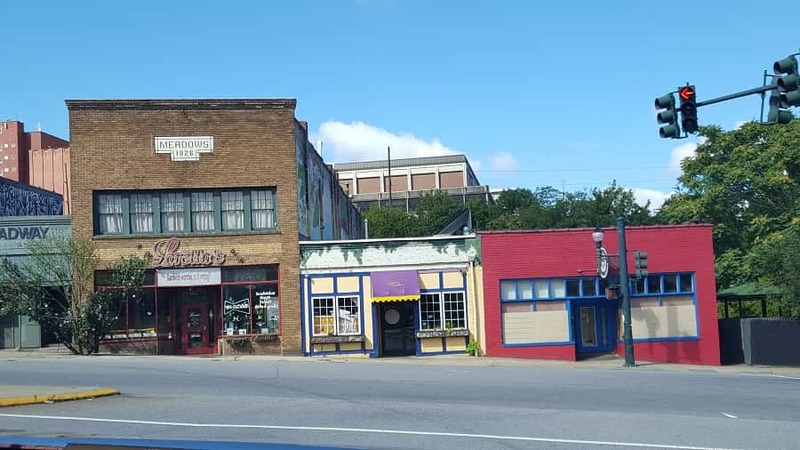 You will also find plenty of shops (North Carolina goods, toys, confectionary & more) along with a coffee shop and locally made ice cream shop. A tour of the Biltmore house will take approximately 2 hours, and then you will want to give yourself 1-2 hours to see everything else. Be sure to get your Biltmore Estate tickets in advance! 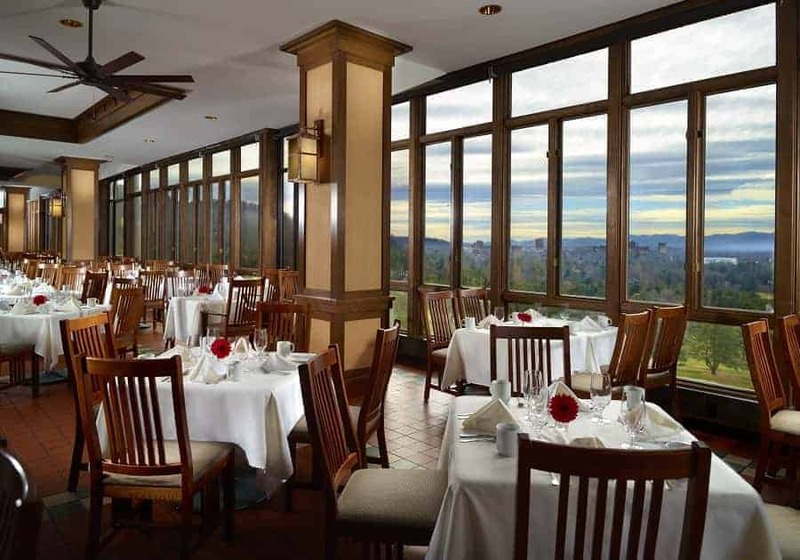 For dinner in Asheville, head over to the Sunset Terrace where you can dine & see the sunset over the blue ridge park way. 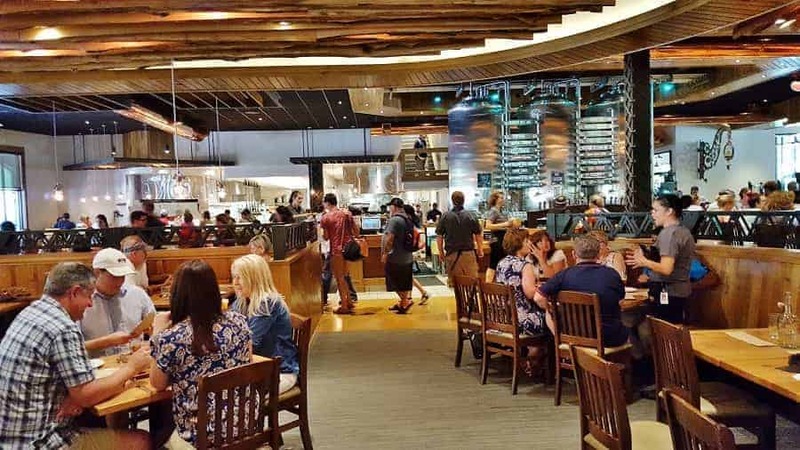 Located in the Omni Grove Park Inn, this restaurant is something you really should experience even if you aren’t staying in the hotel. The chefs here partner with local farmers and serve great quality food that is based on what is in season. 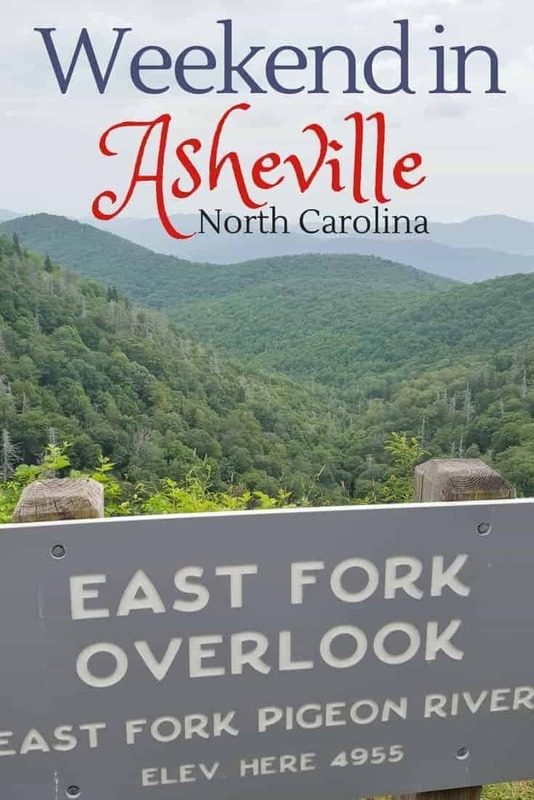 It is the perfect place for a romantic dinner in Asheville because the views are pretty spectacular no matter what time of year you are visiting. No need to dress up (unless you want too). Dress is Resort Casual but you will want to prepare for the weather, if you want to sit on the terrace. On Sunday, head over to the North Carolina Arboretum. This 434-acre public garden is situated right off the Blue Ridge Parkway and literally overlooks the mountains. The setting make it the perfect way to experience nature. If you love the outdoors, you will find yourself in a garden with views like no other. 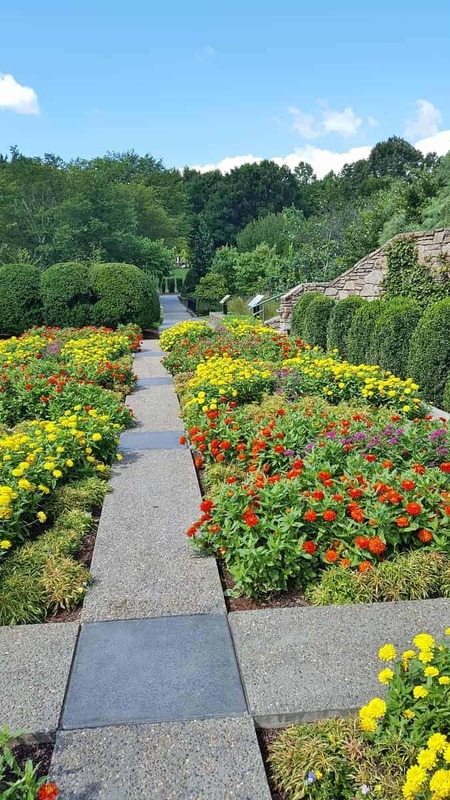 There are acres of cultivated gardens featuring plants native to North Carolina and some specifically to the mountain region of the state. 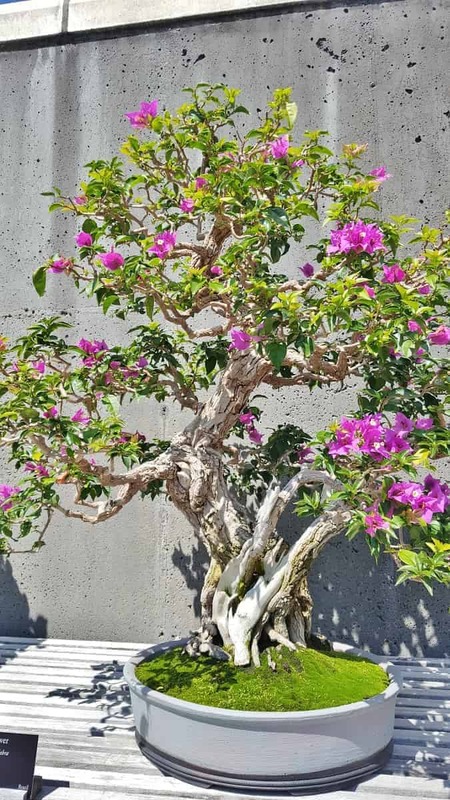 Aside from native plants, the arboretum also has an extensive bonsai collection. There are over 100 display specimens, with more than 100 additional settings in various stages of development. The hiking trails at the Arboretum are some of the best around and connect to Lake Powhatan, the Pisgah National Forest and the Blue Ridge Parkway. There is something for all types of hikers from beginning to advance and all are pet friendly! 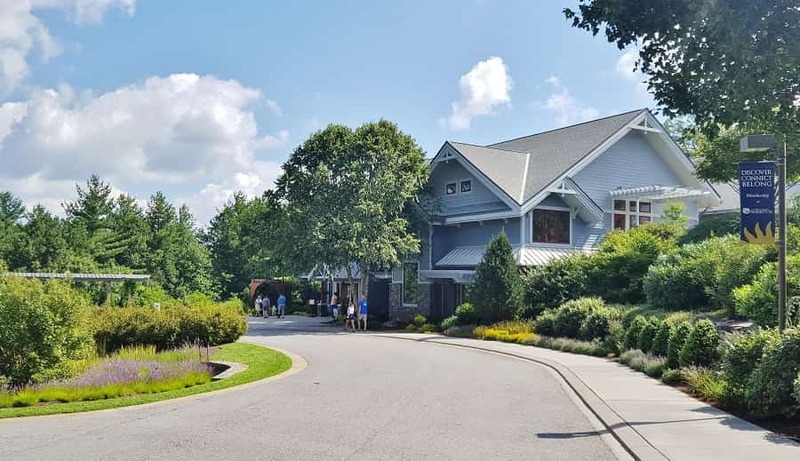 If you are bringing your kids with you on your trip to the NC Arboretum, you will find that they have tons of kid-friendly adventures from backpacks you can rent (filled with exploring gear) to geocaching! After a day walking around the arboretum, you have probably worked up an appetite and could use a cold beer. 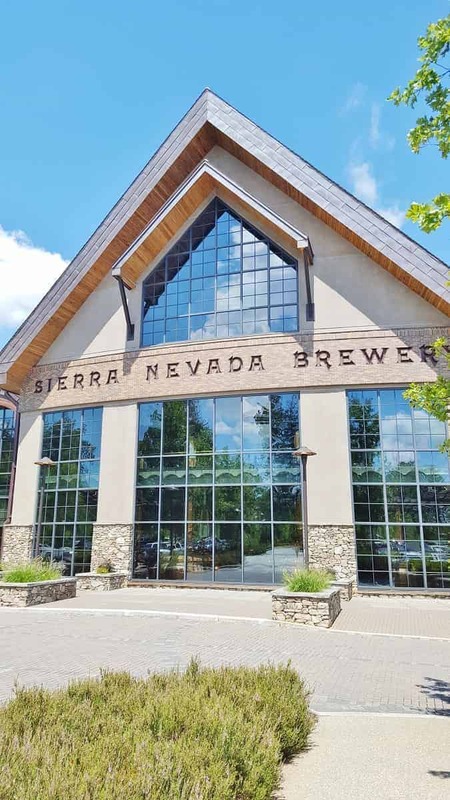 A great way to spend the afternoon is grabbing lunch (and of course a beer) at Sierra Nevada Brewery. Usually when you think brewery, you probably don’t think great food. This is the exception at Sierra Nevada. While a full scale working brewery, it also has a farm to table restaurant packed with wonderful locally sourced menu items. After lunch, you may want to venture around the brewery and even take a tour. While you can take a totally self-guided tour, if you really want to know all about the brewery, we suggest a guided tours. Book in advance to secure your spot. Brewhouse Tour: This 90-minute tour is free, but reservations are required. Here you take a tour of the hops-to-brews process. You will look into the copper kettles, smell the hops, see the assembly line and end with a tasting of beer next to the fermenters. Beer Geek Tour: If you are looking for something a bit more in depth, this 3-hour tour will teach you everything you ever wanted to know about beer and brewing. 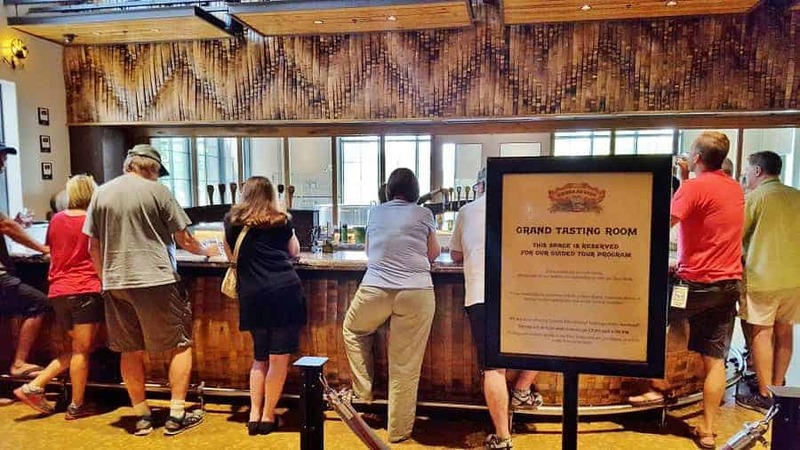 For $30 per person, you will take a small group tour which begins with craft beer history. You will then tour the 200-barrel production brewhouse, venture into the hop freezer and cellar. You will then be able to sample brews right from the tanks. Reservation is required. Guided Educational Tasting. Want to try different beers? Then this $12 sampling is for you. A beer guide will walk you through a sampling of eight beers. You learn the history of each beer as well as discuss what makes Sierra Nevada’s beer unique. This can be booked same day you arrive. While you might think of a brewery as not being appropriate for kids, those traveling as a family will be glad to know that your kids are welcome at Sierra Nevada. While they can’t go on group tours, they can tour the brewery with you on your own. They will also enjoy going upstairs in the game/ pub room. 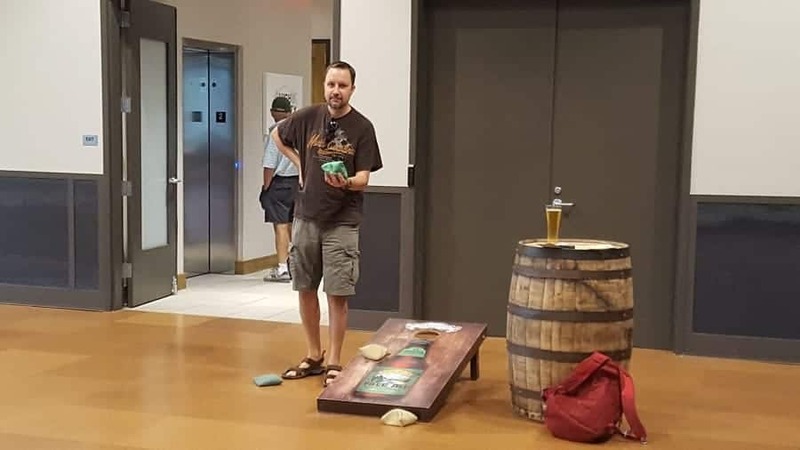 You can grab a beer and the kids can play games like corn hole and table top shuffleboard. When is the best time to go to Asheville? There is no bad time to spend a weekend in Asheville. One of the best times of year to head to Asheville is the month of October when the leaves change. The views along the Blue Ridge Parkway are stunning as the leaves begin to change from green to hues of yellow, orange and red. If you can’t make it there in the fall, be sure to go in the spring or summer months so that you can enjoy all the beautiful flowers and bushes that come to life both at Biltmore and the North Carolina Arboretum. November through March are colder times of the year for Asheville, so it will limit you in terms of what you can do outside, so we believe that April-October are probably the best times to plan your Asheville weekend getaway. If you can afford the best in accommodations, nothing quite compares to The Omni Grove Park Inn. This 4-star hotel features amazing views of both downtown Asheville and the Blue Ridge Mountains, and sits a short distance from Asheville’s largest tourist hotspot, the Biltmore House. Inside the Omni Grove Park Inn you will find a subterranean spa and wonderful restaurants. You don’t have to stay here to enjoy some of what it has to offer. Make reservations for dinner, or drop in for a nightcap. Those looking to spend a bit less may want to look into the many B&Bs in the area. Many of these Bed & Breakfasts are in historic homes and within walking distance to downtown. We have previously stayed at the Aberdeen Inn which features a large yard with hammocks, lovely rooms with a hardy breakfast. No matter where you stay during your Asheville weekend getaway, you can be guaranteed to fall in love with this picturesque city. If you don’t get to do everything on this list, don’t worry. It just gives you a reason to come back again! Have you been to Asheville, NC? Do you have any recommendations on things to do for an Asheville Weekend Getaway? I would love to see the leaves change in the Fall in Asheville – I heard it has a great vegan restaurant scene, would definitely love to check it out and eat my way through the city! Always wanted to try Brewery! This adventure looks stunning, specially Asheville itself. Thanks for sharing this! The flowers look awesome – so cheerful. What time of the year is it best to visit Asheville? What a fun, charming town. It looks like you all had a great time. I would love to go and tour the winery and brewery as my husband and I are big foodies! Thanks for sharing, I will be saving your post for future reference. I heard and read about Ashville a lot. I hope we can make a turn there during our 13 Colonies Trip next summer. I would like to visit the Blue Ridge Parkway, the downtown area, and the Biltmore Estate. They look interesting. North Carolina is definitely on my list of places still to visit. Thanks for sharing your guide. I love that they have winery/vineyard and plenty of breweries to visit! Also the photos of the nature hiking looks amazing! I had no idea Asheville was home to America’s largest castle! This looks like an amazing place to spend a long weekend. I wouldn’t have thought of it before reading your post, but now it’s definitely on my must-visit list.